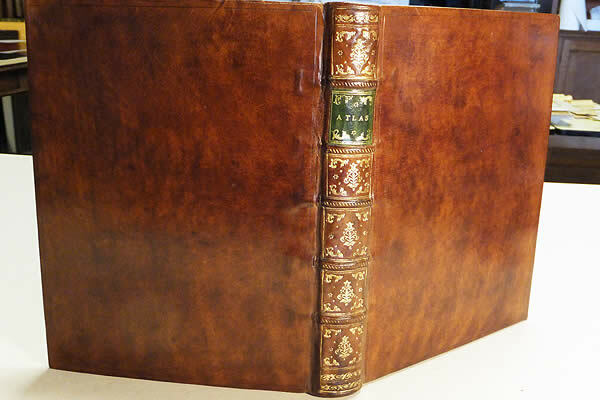 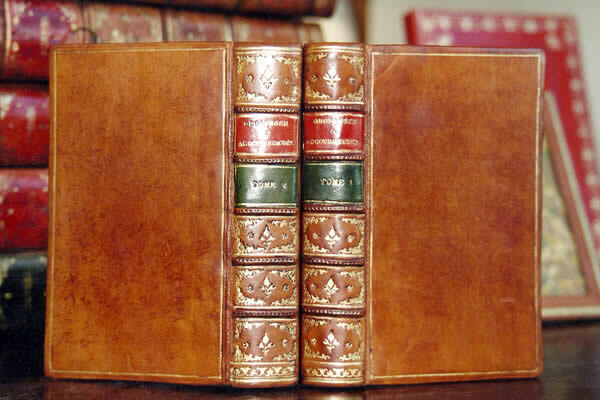 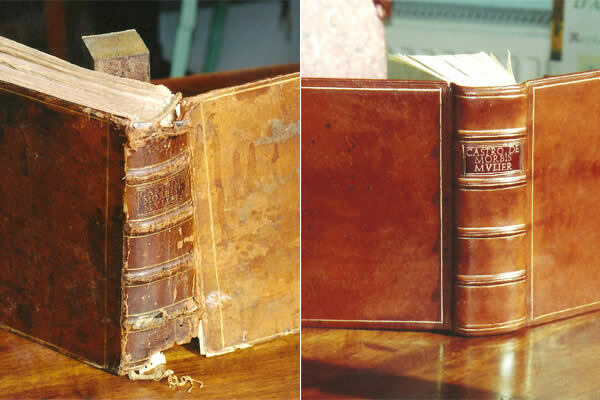 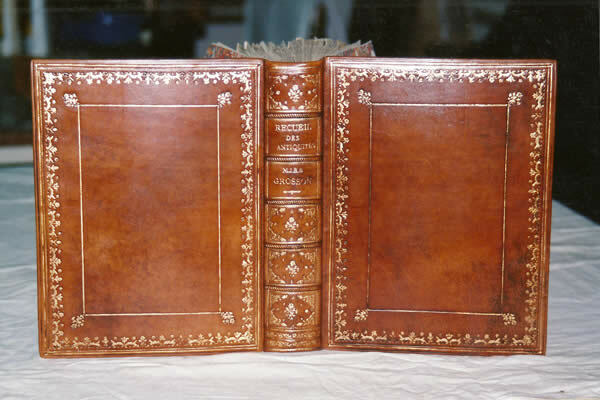 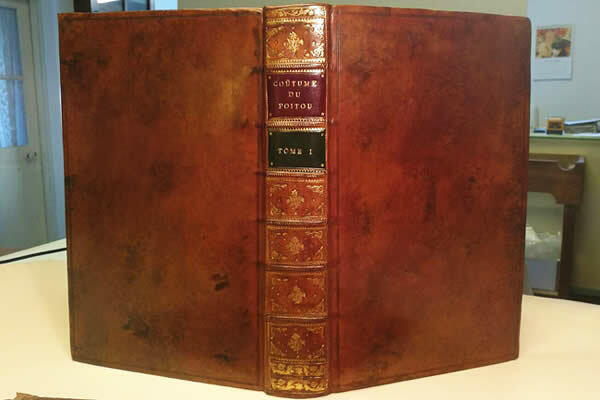 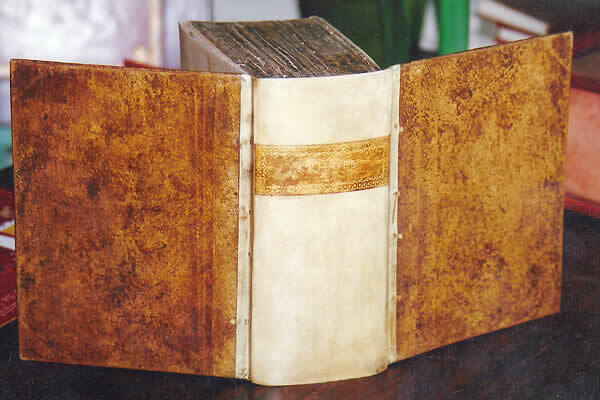 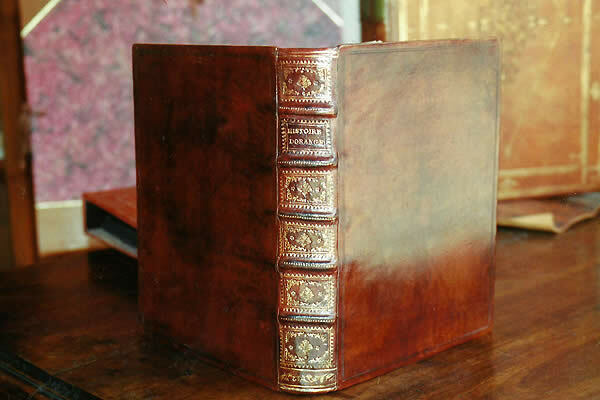 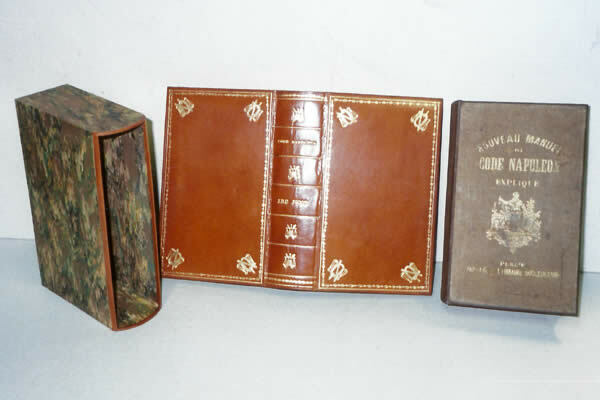 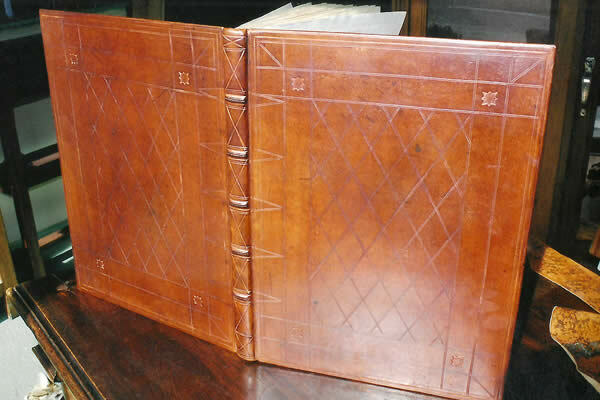 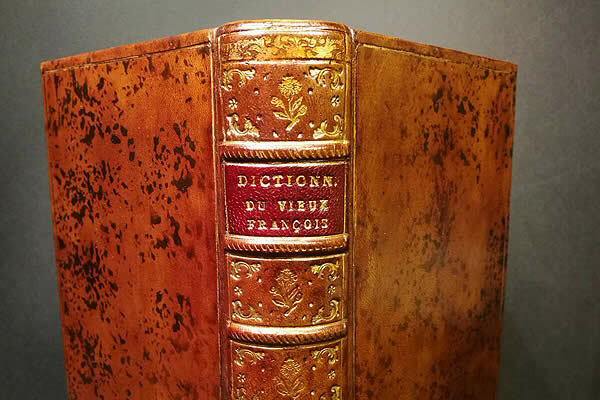 Fleuron du Cuir restores books from the 17th to 20th century, with the optimal preservation of the book block, the stitching, the endbands, the marbled paper, the cardboard, the gildings and the leathers. 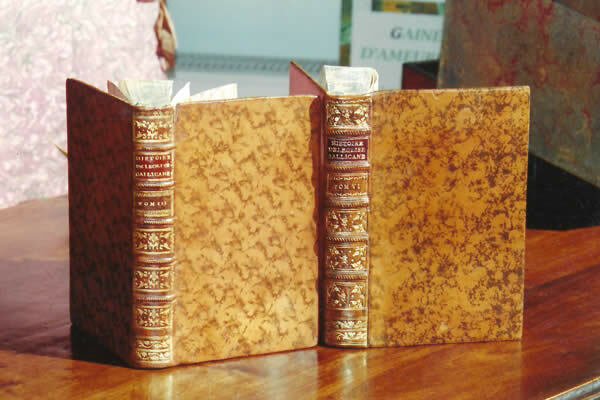 Fleuron du Cuir faithfully restores original bindings by employing the techniques used at the period. 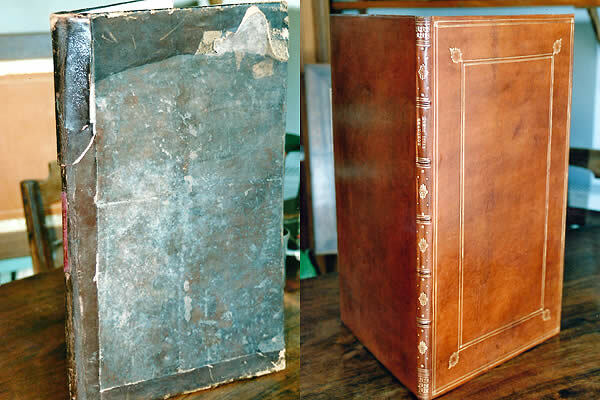 The restorations can be partial or total, and patinated so that the repairs are invisible with patinas for leather, paper, gildings.